This weekend will see the hurling activity focus on the Lee Strand Under 12, 14 and 16 hurling leagues while at adult level the North Kerry intermediate league also gets underway. Lee Strand Co. Under 16 Hurling League results: Division 1 - St. Brendan’s 5 - 13 Kenmare/Kilgarvan 4 - 6; Division 2 - Crotta 7 - 10 South Kerry 8 - 2; Abbeydorney 5 - 15 Kilmoyley 1 - 16. Round 3 - Thursday, 4 April, 6.45p.m. Division 1 - St. Brendan’s v Ballyheigue. Division 2 - South Kerry v Crotta; Abbeydorney v Kilmoyley. Sunday, 7 April - Ballyduff v Kenmare/Kilgarvan at 12 noon. Timmy Weir (Abbeydorney) is the co-ordinator for this competition. The Lee Strand Under 12 hurling leagues across 3 Divisions will continue this week. All Round 2 games at 7.00p.m., Friday evening, 5 April. Division 1 fixtures – Ballyheigue v Tralee Parnell’s; Kenmare/Kilgarvan v Ballyduff; Crotta v bye. Division 2 – Kilmoyley v Abbeydorney; St. Pat’s/Dr. Crokes v Rathmore; Kenmare/Kilgarvan B v Lixnaw. The St. Brendan’s v Firies game has been brought forward to Thursday, 4 April. Division 3 –Kenmare/Kilgarvan C v Ballyduff B; Causeway v Crotta B; Ballyheigue B Tralee Parnell’s B. Patrick Corridon (Ballyheigue) is the co-ordinator for this competition. The Lee Strand Co. Under 14 hurling leagues will commence on this Saturday, 6 April, 5.00p.m. with the following fixtures: Division 1 - St. Brendan’s v Lixnaw; Kenmare/Kilgarvan v Tralee Parnell’s, Ballyduff v Crotta. Division 2 – South Kerry v Ballyheigue; Kilmoyley v Firies; Causeway v Abbeydorney. Liam Goggin (Causeway) will be the Under 14 hurling co-ordinator. 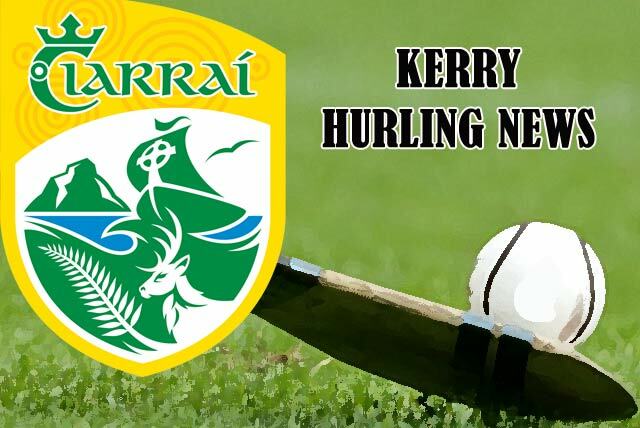 The North Kerry Intermediate Hurling League will commence on this Friday, 5 April with games at 6.45 p.m. Round 1 fixtures are: Group 1 - Kilmoyley v St. Brendan's; Lixnaw v Tralee Parnell’s, Causeway v bye. Group 2 - Crotta v Ballyheigue; Abbeydorney v Lady's Walk. The 2019 Kellogg’s GAA Cúl Camps for Hurling in Kerry will take place as follows: Ardfert & Rathmore (1 – 5 July), Lixnaw & Ballyduff (8 - 12 July); Ballyheigue & Kenmare (15 - 19 July); Causeway & Fitzgerald Stadium, Killarney (22 - 26 July); Abbeydorney (29 July – 2 August); Crotta O’Neill’s – Dromakee (5 – 9 August) and Kilmoyley & Tralee Parnell’s - Caherslee (12 – 16 August). Cost remains at €60 per child with reductions for additional members of families. Kellogg's GAA Cúl Camps are open to children between the ages of 6 to 13. The hours of the camps are 10.00 am to 2.30pm. and note that from this year booking will not be accepted on the first day of any camp.